“Interfaith” is a word increasingly used. It’s used as an adjective. It’s used as a noun. We can even do interfaith in the sense of engaging with a range of activities that might include the local rabbi, imam, Buddhist monk, Hindu priest and Catholic nun sharing insights around an urgent social need. 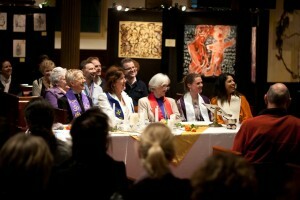 It has also – and increasingly – come to mean people getting together without religious labels, getting together as seekers to share sacred silence, a day of prayer, peace-making, forgiveness or healing, an experience of art, poetry or music, or a service in a church, temple or under the trees. Such gatherings are of great value and beauty, bringing us together as a single human family and valuing and enjoying differences of views without fearing them. 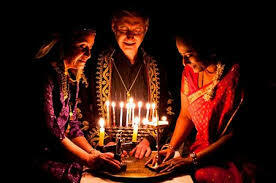 This draws on humankind’s shared spiritual inheritance and is in every way inclusive. 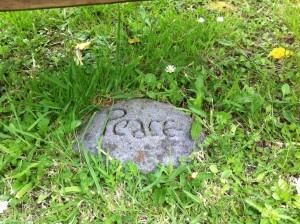 This last word matters most:”inclusive” spiritual experience. From this perspective, no one is “lesser than”; no one is “left out”, everyone can “belong”. But that very range of experiences ought to give us pause: pause to celebrate that such events are increasingly commonplace; pause, too, to acknowledge that those vitally inclusive and welcoming experiences may lose some of their healing power if any definition of “interfaith” becomes rigid or constraining. Or if some experiences are regarded as more authentically “interfaith” than others. Definitions matter. They can be thrilling and illuminating. They can also be used to create hierarchies and exert power. Or even to humiliate or batter those who see the world differently. It’s unhelpful to think about the definition of some words without taking into account who is doing the defining, and why. This is particularly true surely when it comes to those highly subjective, densely loaded words that attempt to describe, much less define “faith” or “belief”. In fact, as I write this images rush through my mind of countless individuals shunned, defiled, even murdered for religious claims or definitions that were regarded as so offensive they were called heretical. That has happened throughout human history. It still happens. That kind of sheep/goats talk is commonplace in other traditions too. The inference is clear: far better to be what “is”, than what is “not”. In those same childhood years I also heard people speak about a loss of faith in tones as hushed and concerned as might be used to speak about the death of a loved one. For many, it was equivalent. Yet when someone “loses” their faith this could mean a huge range of experiences within each individual from no longer believing in or accepting the God of their childhood to no longer believing that their faith is the “one, true” and only – or that it has any right to condemn “others”; to giving up on religion entirely – with all manner of shifts between. The sacred is more likely to be found through experiences that engage the emotions than through dogma that rigidifies the mind. Self-righteousness, or insistence on “one way” trumping all others, is the enemy of the subtle, infinitely powerful, never-entirely-knowable sacred. Vulnerability, compassion, hope, tenderness, good humour, patience, forgiveness, love: these are sacred and sustaining qualities that belong to all of humanity and need not depend on religious belief. For some, they reflect the infinite and unconditional love that God has for our human family. But this is not always true. Nor is it true that people who are explicitly theist practise these qualities more obviously or profoundly than those who are neither theist nor atheist. “God” can be inspiration as well as source; but not for all and never within a context of fear. The great twentieth-century visionary poet Rainer Maria Rilke was, like most poets, extremely wary of definitions and mistrustful of our anxious grasping after them. When it came to priests and their confident reading of the mind of God, he was particularly scornful. “Middlemen”, he called them. When it comes to questions of faith, religion and the awesome “sacred”, we must, Rilke believed and so do I, learn to trust an inner authority based on experiences, one that’s tempered by humility as well as wisdom as life continues to mellow us. There is some argument as to whether Rilke did or did not call God “a direction of the heart”. (He called God many names and addressed God with sublime intimacy and often equally sublime lack of certainty: one of many reasons why he is a poet for our times.) But this gentle, questing notion of “direction of the heart” may be useful to some of us, too, as we think about faith, about our faith in thinking about faith…and about interfaith. Modesty as well as humility is a great blessing here. 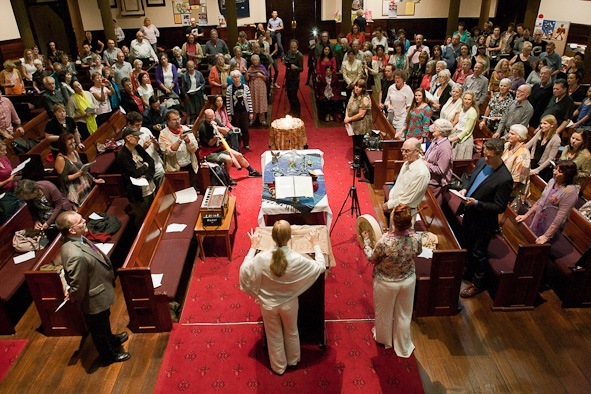 I am thrilled when I hear people speak to one another about the interfaith services I lead in inner city Sydney with delightful familiarity as in, “Will I see you at interfaith next week…?”. I love their confidence that “interfaith” experience is real for them and that they are eager to have those experiences together. But is interfaith also a “noun”? I am not sure. I have been teaching from a spiritually inclusive perspective for more than 25 years. For at least an entire century our human family has been increasingly open to finding inspiration and ethical guidance from wherever it feels most inwardly refining and outwardly effective, in the sense of growing a love for our diverse human family, and service to it. As an ordained “interfaith minister” (and graduate of one of New York’s several interfaith seminaries), I have been leading those services to a large inner-city congregation for seven years, since 2006. During those years, and as a writer and public spokesperson for an interfaith practice and perspective, I have felt often that I am standing on the margins – where change in attitudes is most likely to happen – and quite simultaneously that I am right in the heart of where positive change is occurring. What I am sure of is that I am witnessing change as much as I am possibly contributing to it. This intense familiarity with broadly interfaith questions and context does not, though, and should not mean that I want to offer a confident definition for interfaith beyond the key phrases of “spiritual inclusion” or “spiritually inclusive”. My own inner calling to ministry was undoubtedly to spiritually support all who sought that, whatever their faith experiences, beliefs or questions. The teachings, prayers and practices that inspire and shape my work and life are those that could best be described as universal or mystical. They are challenging. They leave no one out. 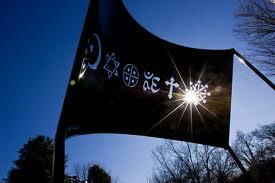 They do not assume that all religions are the same, or that all religious teachings should be valued equally. Universal teachings of the kind I cherish derive from love and urge us to live a life of love – without exceptions. There is nothing new in that. Universal Sufism and Vedanta are just two of many paths that have explicitly defied the idea that Truth revealed itself to a single privileged group. Love, whether it is human or divine is considered to be sacred, in the view of the mystics, philosophers, and thinkers. That it is possible to regard it thus is shown by the fact that in its root it is beyond both the human and the divine. As it is written in the Bible, ‘God is Love’: three words which open up an unending realm for the thinker who desires to probe the depth of the secret of love. In ordinary life, we make this word mean affection for our surroundings, for our relatives or our beloved, but when we think deeply about it, we see that from start to finish it represents the power underlying the power of all activities and all intelligences. Following a spiritually inclusive way of life has been, for me, both liberating and demanding, as it should be. It’s been liberating in that it has opened me to the incredible treasure trove of spiritual resources that each faith has nurtured, despite everything. It is demanding too – and I welcome this – in that it calls and depends upon an ethic that is also at the heart of all faith and spiritually philosophical traditions: the ethic of the “Golden Rule”. Interfaith practice unequivocally calls me to consider who and what I am, who and what my “neighbors” are, and particularly how I treat and regard them as well as myself. How I live matters. How each of us lives matters. It also matters whether our beliefs nourish our relationships with one another, or destroy them. Looking at faiths as well as faith close up it is easy to see the complex human dimension in them all: the weaknesses are painfully similar; the strengths are encouragingly similar. A “spiritually inclusive” attitude and way of living is a choice that challenges prejudices and stereotypes. It also challenges the power imperatives that characterize some conventional religious thinking and practice. Given the shockingly irreligious, sexist, homophobic and violent nature of much “religious” behavior, and given the violence that continues to be waged in the name of religions and faiths, I believe that we can safely say that in any of its sincere forms, interfaith activity is a change for the better in human consciousness. It offers a vital shift not only in how we think about religion and religious adherence, but also – and more profoundly – in how we think about humanity and what we are capable of doing and being. The time for tribal thinking is over. It has become too dangerous. This is a time for thinking that is both global and intimate; bold and delicately receptive and nuanced. It is a time for thinking and behavior that is self-responsible, self-respecting, and simultaneously caring of the effect of our choices on the world around us. Like Patel, I am confident that interfaith experience is brilliantly suited to these times. It is unconditionally rooted in care for others and a willingness to look way beyond one’s own garden gate; it is overtly harmonizing and peace-making; it is open to change; it is self-evidently more interested in questions of “how should we live” than in staking an exclusive claim to “truth”. I would also add that it offers a vital chance to “grow up”: to claim one’s inner authority and conscience that returns us to the profound simplicity of the Golden Rule and all that implies. None of us “owns” God. Nor can any of us rightly claim to speak for God – particularly when those claims are arrogant, violent or divisive. What we can know is how urgently humanity needs a more peaceful, self-respectful and caring way of thinking about – and living out – religion, faith, religious identity and belief. 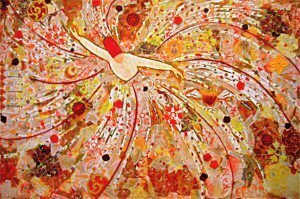 My sense perhaps my hope is strong that in all its diversity, “interfaith” experiences – including shared worship – will be increasingly available and supported within our global world. They will, though, be diversely lived. For some, this will strengthen a “home faith”. For some, it will involve a softening of attitudes about faith as well as interfaith, with a greater understanding of those who live or worship differently. For some, “spiritual inclusivity” will itself be a chosen and cherished path. Accepting that diversity of experience can be challenging. Yet “interfaith” can itself be our finest teacher about what we more profoundly share. 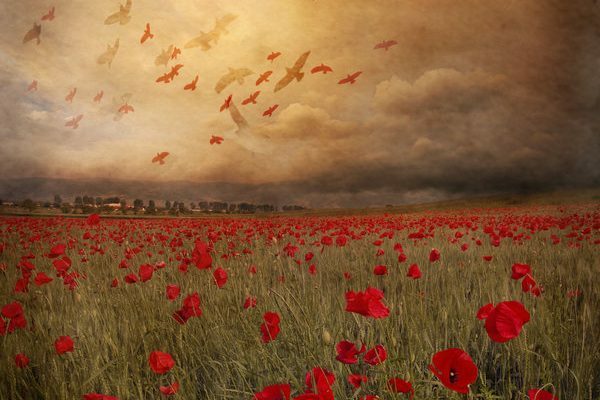 Bowing our heads together in silence, allowing ourselves to be transported by poetry or music, listening deeply to one another’s stories, offering consolation in grief and celebration in joy: these are unifying moments and may even be transformative. Seeking meaning in and through life (and in and through our reflections upon it) is among the most profound quests that our human family shares. An interfaith perspective is likely to acknowledge this as a human activity, expressed and inspired in many ways, but transcending through first-hand knowledge and respect all the familiar separations of religion, culture, race, class and gender. In short, it’s a way of bringing people together around what matters most. It’s a way of opening hearts as well as minds. In 21st-century life, interfaith activities, ideals and especially genuinely inclusive spiritual gatherings and experiences can add substantially to our urgent needs for peace making, social and economic justice, care for the physical universe, and global as well as intimate understanding of one another. Such activities and the thinking that drives them witness to what we share, rather than to what divides us. They heal dualistic thinking; they take us towards an understanding of interdependence on which our survival as a human family may possibly depend. This is no small thing. In truth, I find it quietly hopeful. 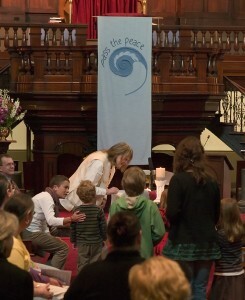 Since 2006, Reverend Dr Stephanie Dowrick has been leading spiritually inclusive services each 3rd Sunday of the month at Pitt Street Uniting Church, 264 Pitt Street, Sydney, 3pm. 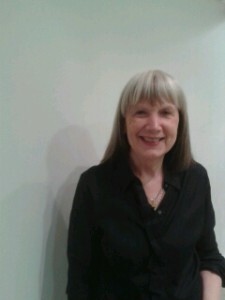 She also leads retreats and events in Australia, NZ, and Japan (particularly at Mana Retreat Centre, New Zealand). 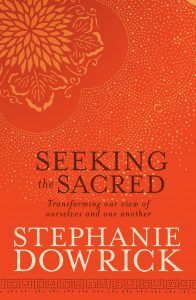 For further depth on interfaith and spiritual seeking, please see her book, Seeking the Sacred. This article is copyright. 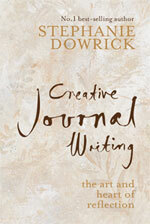 If you wish to reproduce or share it, please write to uhn @ stephaniedowrick.com (close up spaces) and acknowledge this website as your source. You are invited also to follow Stephanie Dowrick on Facebook for spiritually inclusive, socially conscious inspiration.